Home Blogs Canada Shuts Down Music Touring, Ay? Written by: Moses Avalon on June 8, 2014. Let’s say you’re a music group with Canadian fans. Recently you emailed them announcing that you’re coming to town. But when you arrive, the local sheriff is waiting to seize your gear and fine you $1 million. This might sound like a chapter out of Kafka or Orwell’s 1984, but it’s actually the not-too-distant future as proposed by the CRTC: Canadian Radio-Television and Telecommunications Commission (Canada’s variant of the FCC.) 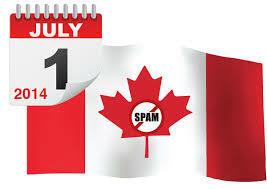 Starting July 1, 2014 a new Canadian Anti-Spam Law called CASL will go into effect that is intent on fining all businesses, large and small, $1 million if they send even one email to a Canadian that was not double opted in with “express permission,” as vaguely defined by CASL. CASL (pronounced “castle”) will infect and affect every touring artist in the US and Canadian music industry in severely negative ways. For artists who have been using web-based form-mail as an opt-in method to convert subscribers, (pretty much every artist with a website) sending an email blast could result in millions in fines if any Canadians are on the list. While it’s true that the Canadian Mounties will not likely be charging over the border too soon, the law will carry “territorial jurisdiction.” Put simply, the CRTC could ask a United States Attorney General to enforce the law or, in the alternative, wait until the offending artist crosses the Canadian border and then seize assets which could include musical equipment. The law calls for a $1 million fine for each individual piece of email–not each individual campaign. Which means a mailing list with even 10 Canadian recipients could result in $10 million in fines. What’s more disheartening is that this law gives the CRTC authority to go to SOCAN, Canada’s performing rights society and seize royalties that are due the offenders. C’MON REALLY? In practical terms, it’s not likely that the CRTC will have the budget to go after small independent recording artists. At first. Their initial targets will be large institutions, such as banks who spam predatory lending offers. However, after a few hearty fines are collected, it is not unreasonable, according to one Canadian legal expert, Barry Sookman, for them to set their sights on some of the more aggressive concert promoters. (Is there another kind?) Sookman says, “The law carries with it ‘vicarious liability.’ This means that one person can be liable for the actions of somebody else.” In this case, the CRTC could go after the promoter and the venue if one of them was “spamming” Canadians, as that term is broadly defined by CASL. Expect promoters and venues to begin scrutinizing acts carefully for compliance before accepting a booking. The CRTC demands that every recording artist get “express consent” from each Canadian member of their mailing list before July 1, 2014. This requires figuring out who on a mailing list of potentially hundreds or thousands of opt-ins are Canadian, extracting their names, and then sending them another double opt-in permission email before proceeding to email them further. A task that experts on the subject agree will be impossible to do by the deadline. For the most part there is no way to tell which emails on a list belong to Canadians without expensive tracking services. In other words, there will be examples made, fines levied and assets seized. The only question is, who will be first? According to Sookman, “Bands are in a worse position than many big businesses because there is a three-year transition period to get consent after you have sold something to someone from whom you may have assumed you had implied consent [to email].” But, a band rarely has implied consent. When dealing with a live show there is rarely a physical sale or receipt from the venue for a door-charge. “And so the law would treat a band less kindly than a large bank,” and act as if there was never any implied consent, said Sookman. His firm offers a toolbox for people trying to comply with CASL. NOW WHAT? Hard to say. If your group relies heavily on revenue from a Canadian audience you might have to rethink your marketing strategy or hire from the growing community of consultants that are specializing in CASL compliance. (Not me. Please no emails, but Sookman’s website has resources as well as articles analyzing the law.) Or, or for the poor-man’s approach, if you’re a US band, you could simply stay out of Canada. And if you’re a Canadian band, you could move to the US. I cannot think of a more bone-headed move on the part of our sister country. And all this time I thought they were supposed to be the kinder more polite America. Mo Out. It is a bone head idea from the Stephen Harper Conservative Government. I am Canadian. I am very peeved at this point and many other stupid backward laws that this government has been putting forward. He needs to get out! I appologize to our neighbors to the South. This is not acceptable. It is far from a bonehead idea. Trying to punish people who send garbage spam tha clutters up every inbox in the country is one of the best ideas I’ve heard in a long time. The problem is the implimentation which is loose in some important areas, and too tight in other areas. From the act as I’ve read it, I’m really not sure that musicians who are sending emails to people who have opted into their email list by signing up on their website qualify as a spammer under this legislation as I read it. There’s an outside possibility that it does, but the fact is that as long as a band has an “unsubscribe” method in their emails that actually works, I don’t see a chance in hell of anyone enforcing a $1m fine (which by the way is a MAXIMUM, not a set fine) against a band for emailing people who provided their emails to the band for the purposes of recieving the band’s emails. I simply do not see any prosecutor or official wasting their time to police something no one is complaining about or has any problem with. “From the act as I’ve read it, I’m really not sure that musicians who are sending emails… qualify as a spammer under this legislation as I read it. Well, then you need to go back and re-read it. Here’s an analisys from an expert with a Canadian law degree. Start here. How would the authorities find out how many emails a band has sent to Canadians? Would this be based upon individuals reporting they received “spam” from a band? It’s a great question, but with statutory fines this high they can aford to “inspire” a few witnesses. The shared culpability is the issue. Your promoter can cost you millions. But this is because they BUY email addresses instead of having people give them to you and growing your fan/customer list organically. So if you pass a clipboard at a gig, include YOUR email address on the page. Make sure every email you send out is to someone real who asked for it. This has No Impact on things like DeliRadio. Back before everyone has email we used to actually mail flyers to people. An uninterested address on that list COST us money so it made sense to maintain it. It makes sense again now..
Great point about promoters. Choose wisely. I see many, many NEW indemnification clauses in touring and venue agreements because of this. Thought you might appreciate another bonehead law from Canada. Last year Canada enacted a new “tour tax” for international artists affecting the smaller venues (bars, clubs, etc.) in Canada. So, free health care, but no free music. Karl Marx is turning over in his grave. He completely conflates two separate issues in order to defend this ridiculous fee: bands on both sides of the boarder needs work permits but US bars don’t need to pay $1000s in municipal fees to book a Canadian band. This is a little bit of Harper legislation designed to limit the ability of social interest groups like Avaaz or Council of Canadians from informing Canadians of our Govenrment’s dastardly deeds. CASL also has the unfortunate side effect of exposing artists to litigation. BTW, our Health Care is not free. I pay for it through taxes and, by every measure, I get better value and better outcomes than any form of profit driven healthcare. So, people, the question becomes what can we, the little independent musician or band trying to promote her/his/their own musical product in order to earn a living from music, do to combat this ludicrous misuse and abuse of power? Most indie artists, especially young (in experience) acts do not have big budgets or connections to hire promoters or to pay for commercial third party advertising. We, as a nation must ask ourselves what is REALLY behind this new (proposed?) legislation? Is it really to stop annoying spammers who load up our virtual in-boxes with unsolicited mail? OR IS it REALLY to control freedom of information regarding the government’s nefarious doings and to limit the attention that environmental and activist groups bring to them in order to educate the public? AND Is it a cash cow for greedy governments who seem to think with ever alarming and increasing frequency that Joe and Jane Doe are serfs whose primary reasons for existence are to be sources of tax revenue to underwrite other people’s (big corporations and the governments they control by virtue of lobbyists and funding political campaigns) agendas? WHAT CAN WE DO TO FIGHT THIS LEGISLATION SO THAT IT DOES NOT UNDULY IMPACT THE RIGHTS OF INDIE MUSICIANS TO EARN A LIVING FROM PLAYING THEIR MUSIC? WHAT CAN WE DO TO ENSURE THAT HUMAN RIGHTS AND ENVIRONMENTAL ACTIVISTS GROUPS CAN SHARE THE INFORMATION THEY FIND WITH REGARDS TO OUR GOVERNMENTS AND OUR COUNTRY? While I find unsolicited email from multiple companies of whom I have no prior knowledge or interest clogging up my inbox (one has to wonder where they got my deets) extremely annoying, I do not mind receiving music related information from people’s lists on which I signed up. Neither do I mind when FB friends share info re music events that they are hosting or attending. I hate like heck, though, to be on a MUSIC GROUP and have some idiot randomly selling stuff like shoes or sunglasses. THAT is annoying and a totally inappropriate use of a FB group. I think we need to be wary of allowing OUR Government to enact legislation that applies a slash and burn approach to advertising. While some checks and balances regarding using the Net to advertise might be a step in the right direction, we need to careful about throwing the baby out with the bathwater. WHAT DO YOU THINK? WHAT CAN PEOPLE DO TO PROTEST THIS LEGISLATION? Well… Go back snd double opt in all your existing subscribers. Really. Or at least just the Canadian ones. Keep receipts. And here I thought that our legislators in the States had cornered the market on super dumb legislation. Wow. I forgot to tell you AY is usually spelled EH, eh?